Customize a precious birthday onesie & tutu set for your little girl to wear on her big day. It's her 1st birthday, and that's a big deal! Celebrate with this adorable outfit. Make sure you customize the front of the onesie by adding your own art and text to give it a one of a kind look. 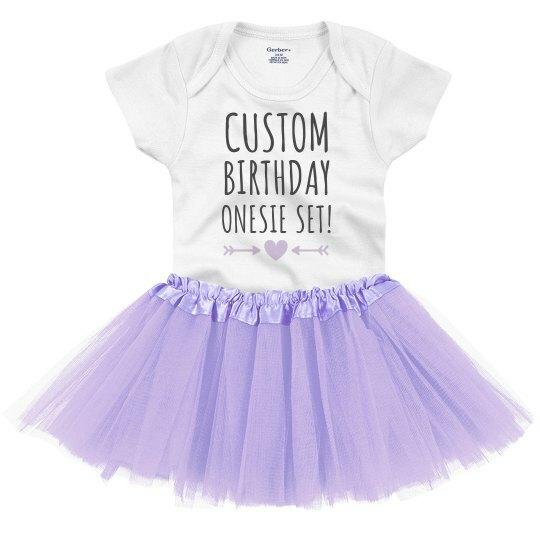 Custom Text: CUSTOM | BIRTHDAY | ONESIE SET!